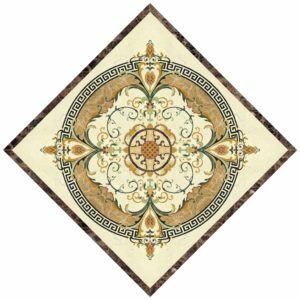 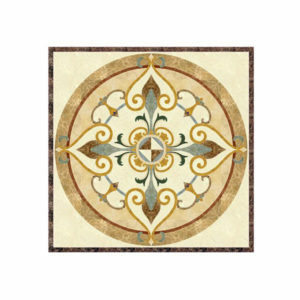 The square water-jet medallion in this case is a beautiful golden marble design, a mosaic which is perfect for any type of floor or environment! 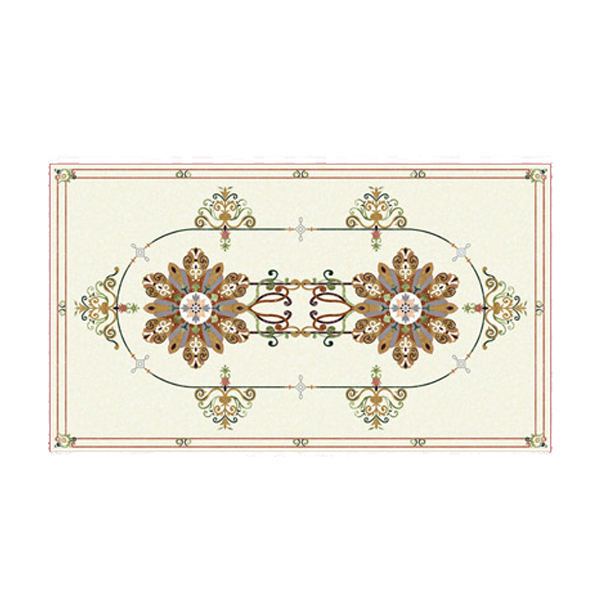 It is highly recommended for luxurious hallways and buildings. 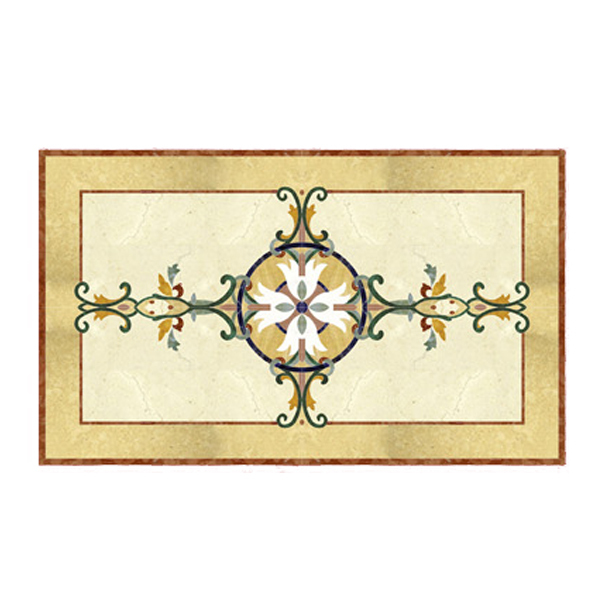 The golden edge surrounding the central discoid shape portraying a beautiful collection of double white wings on a beige background form a wonderful image delighting your visual sense.